This handy reference for students has verb forms on both sides. I photocopy it on card stock (two-sides) and cut it into strips so that students can put it in their books, usually in the lesson we are currently studying. My students really like having this easily accessible reference so that they don’t always have to go looking through their book for verb forms when speaking and writing. 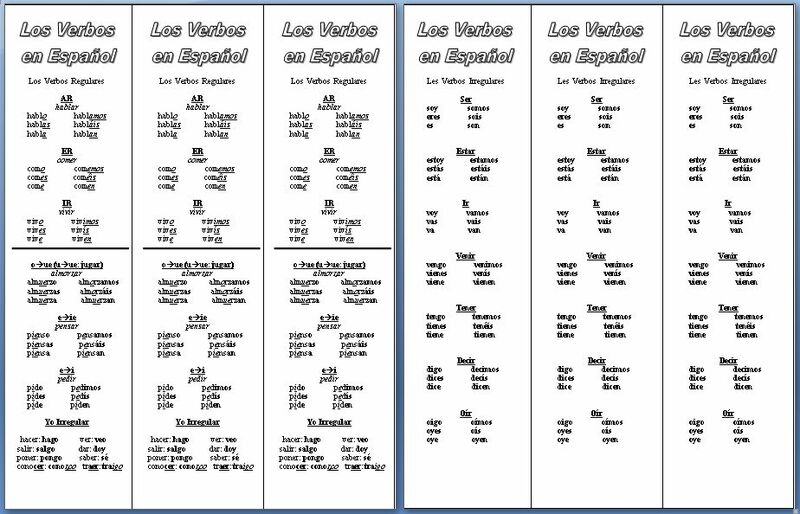 The example below is for beginning/intermediate students, but more advanced students would benefit from more advanced verb forms and conjugations. This entry was posted in Classroom Procedures, Grammar and Structures, Speaking, Writing and tagged Speaking, verbs, Writing. Bookmark the permalink.